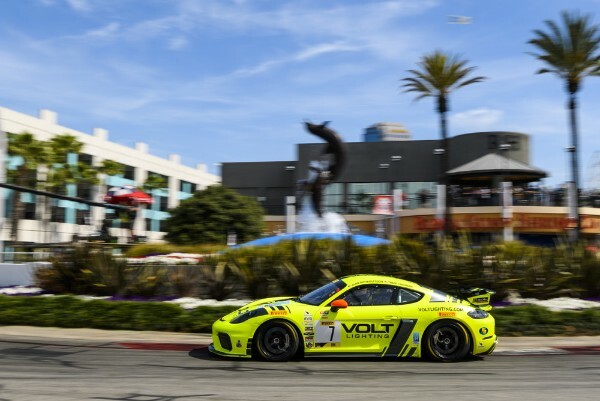 Park Place Motorsports Driver Alan Brynjolfsson capitalized on his clean racing to finish fourth in the Am class of the SRO GT4 America Sprint Powered by Pirelli series at the GT Long Beach Grand Prix ensuring he claims the lead in the Am Drivers points standing. Park Place Motorsports next sees SRO GT4 America action in both forms of the GT4 America EAST and GT4 America Sprint at VIRginia International Raceway April 26-28. Park Place Motorsports will compete with Brynjolfsson in the No. 7 Volt Lighting Porsche Cayman GT4 Clubsport MR in the Sprint series. In the same weekend, he will be joined by co-driver Trent Hindman in the Porsche Cayman GT4 Clubsport MR in the EAST series. Watch the race with the live stream or follow live timing with http://gt4-america.com.